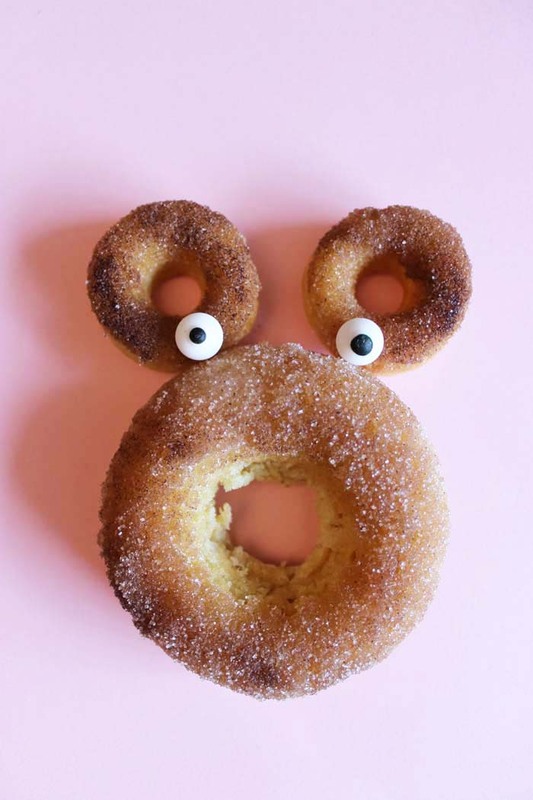 Recipe | Cinnamon Sugar Donuts! It was 'Take Your Kid to Work Day" today so we made donuts! I've always wanted to make the real baked donut recipe ever since we got our donut baking pans, and well, today was the day. These guys are pretty addictive, especially those mini ones that just are so easy to pop in your mouth (four times in a row)! Dangerous! 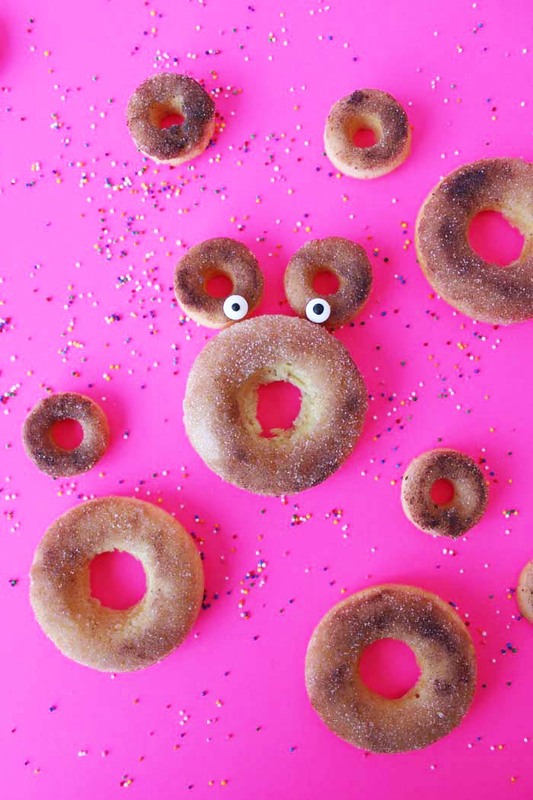 If you love cinnamon sugar coating, these treats are just for you! 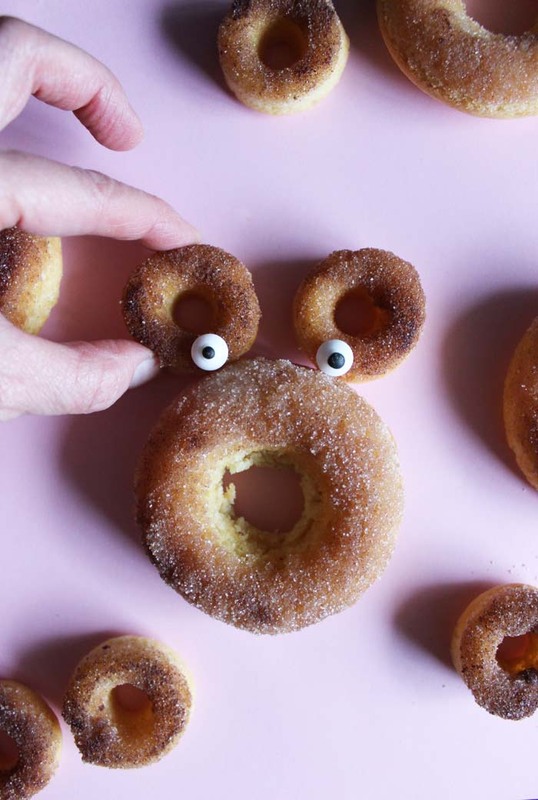 These donuts are pretty yummy, a recipe loosely adapted from Best Baked Doughnuts Ever - Food.com). We added some extra sugar to our batter to make them a little crispier, and a little more cinnamon and nutmeg. We love how they turned out; the perfect after school snack. Take 1-1/2 cups of sugar and the 1 cup of butter and cream. Add the eggs and beat till smooth. In a separate bowl, mix in the dry ingredients (flour, baking powder, salt, and nutmeg). Add the creamed butter/sugar mixture. Stir in the almond milk. Blend with a mixer until smooth. 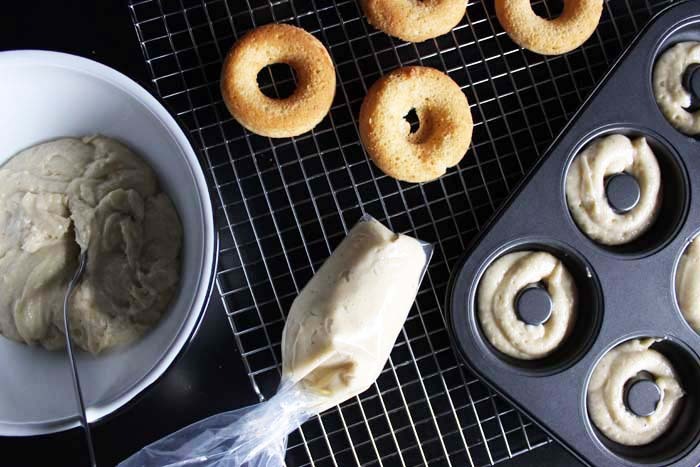 Pour the batter into an icing bag and squeeze into each donut shaped mold in the donut pan. Bake at 350 F for 10 - 15 minutes until baked. Melt butter and place in a bowl for dipping. Mix the cinnamon and sugar in another bowl. 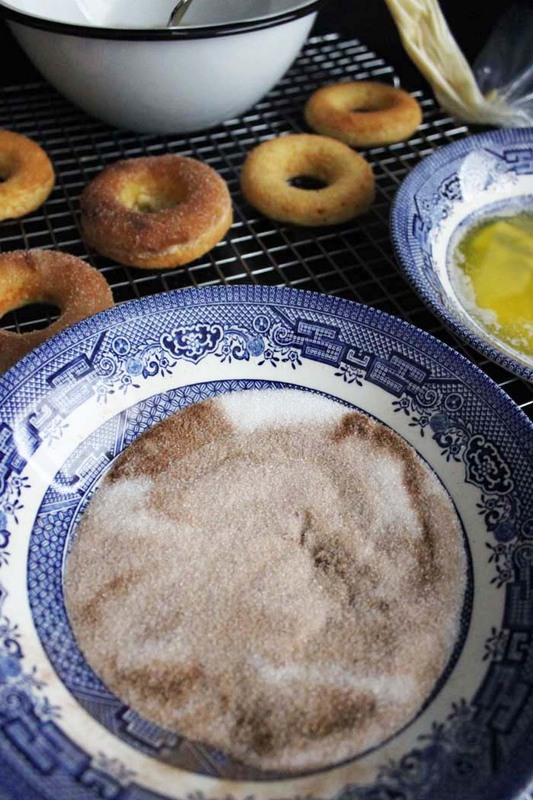 Dip the donuts in the butter, then in the cinnamon sugar mix. Enjoy!